As the most popular social network by a country mile, with over a billion active users, Facebook is by far the most important social media channel for the vast majority of businesses. It’s also one of the hardest to leverage, due to its fervent anti-spamming efforts, but if you approach it in the right way, it can yield spectacular results. And it can be done – for example Coca Cola has over 76 million fans at the time of writing, an increase of more than 100% on the 2011 statistic. While your business might lack the marketing clout of a major multinational soft drinks manufacturer (for the time being, anyway! 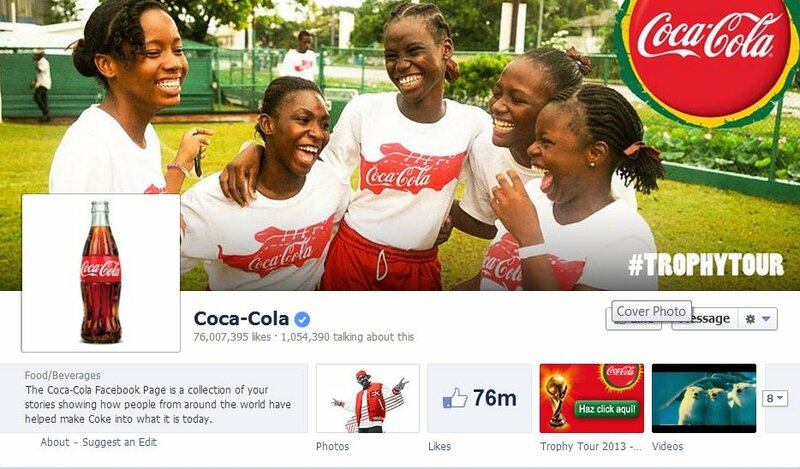 ), you can certainly learn a thing or two about how to leverage social media for business from big brands such as these. Here are five tips for maximizing your Facebook presence like the big boys. In terms of the reach of your Facebook page, there are two important statistics to consider – the number of fans you have for your page, and the rate at which that fanbase is growing. Perhaps the most effective way to grow your fan base is to leverage your existing fans and customers. On thing that might be worth considering is to add a page to your website that highlights your social media presence. Another is to add social media follow buttons to the various web pages so that visitors to your site can find you easily and ‘like’ you on Facebook. Also, for you should make use of social sharing buttons -which I covered a couple of weeks ago in the article Which Social Media Buttons Should You Use – such as the Facebook “like” buttonfor all your all of your online content such as landing pages and blog articles. This can help you to capture existing customers and fans, and expand your reach to include their networks. Another effective method for attracting more more followers is to put out exclusive content for your fans. Facebook users expect to receive exclusive content from the business pages that they ‘like’ on Facebook, and it can be a highly effective way to keep your fans engaged. Also, by giving visitors a sneak preview of your exclusive content, it can encourage them to ‘like’ your page in order to receive it. One of the most useful functions of Facebook for business is that it enables you to create custom page tabs on your business page, so it might be worth creating a custom welcome page to encourage new visitors to become fans. In order to do this, you need to use the page settings to designate this custom page as your ‘Default Landing Tab’. Your level of engagement on Facebook consists of two main factors – the number of ‘likes’ and responses you receive for your posts, and the regularity of those posts. The more engaged you are on Facebook, the more visible your brand will be to existing and prospective fans, so it’s important to create and share interesting content on a regular basis. The ultimate aim of your posts should be to start a conversation with, and amongst, your fans. As is the case with using SEO to make your web page more visible in search, there are a few things that you can do to make sure that your page is better optimized for Facebook’s search function. For starters, you need to make sure that your brand name is used in the page title, vanity URL,and body copy of your page. The more visitors you have, the higher it will appear in the search rankings, so remember to link your website to your Facebook page, place the ‘like’ and social sharing buttons at strategic points on your website, and make sure that you add them to your blog posts and email messages as well. Although creating content for your page is important, it’s just as important to monitor the activity on your page and be active in any discussions taking place on it. Your page is a vehicle for connecting and interacting with your fans, so you need to make sure you hold up your end of the bargain. Also, it’s vital to keep monitoring your page views, comments, and fan growth using Facebook Insights. It is worth remembering to look beyond your own page to see what people are saying about your brand outside of it, as this can give you a broader idea of your company’s Facebook reputation. For example, there is nothing to stop someone from creating a negative Facebook page about your brand, and these pages could show up when people are searching for you. 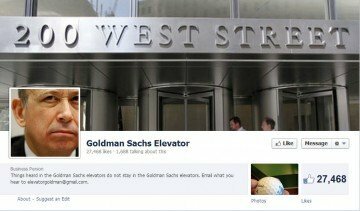 One of the most famous examples of these is the ‘Goldman Sachs Elevator‘ page (also a popular Twitter account) that posts callous comments supposedly overheard in the elevator at the famous investment bank. To this end, media monitoring tools such as the free SocialMention web app and the more powerful paid app Mention can be useful. It’s also worth using marketing analytics software such as Crowdbooster to track the amount of traffic, leads, and customers that your Facebook presence is generating. These can help you to work out how valuable your Facebook participation is for your business, and aid you in determining how much time and effort you should devote to this social media channel. Remember, building a social media presence takes time, and while you shouldn’t just wait around for something to happen, you can’t expect massive results overnight. The trick is to keep building your presence over the long haul in a balanced way. If you do too much, you’ll come across like an old-school spammer, but too little, and you’ll lose crucial momentum. As a general rule, one quality post per day over a long period should yield the most consistent results, and avoid spreading the interest of your fans too thin across lots of little pieces of content while maintaining momentum.